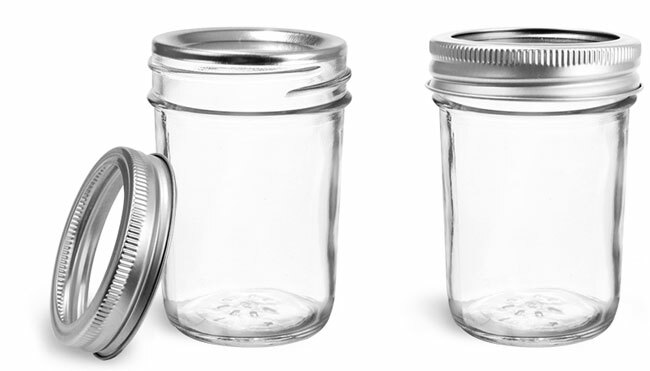 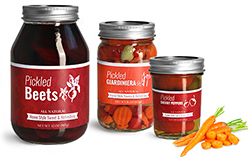 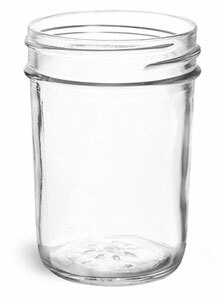 These clear glass jelly jars are paired with a silver 2 piece canning lid. 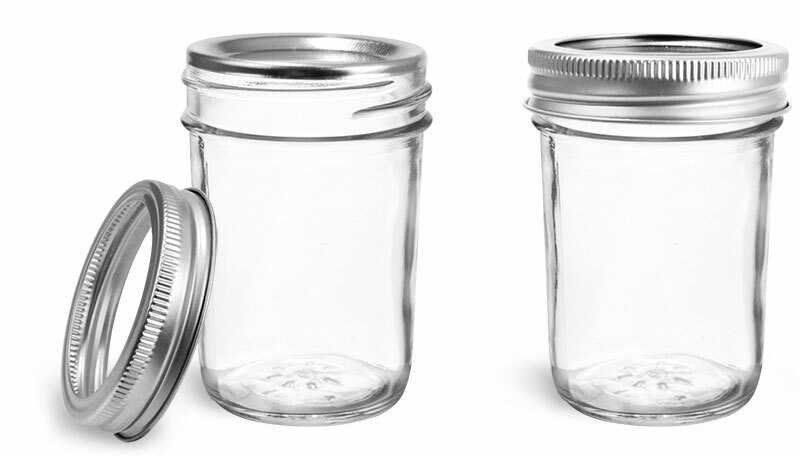 The plastisol liner within the lid will create a hermetic seal once activated. 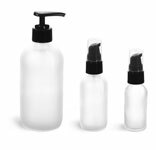 This set is functional and classic and could be used in many different product lines.